This quality Eisenbrauns reprint of Crichton's 1904 translation of Noldeke's Kurzgefasste Syrische Grammatik incorporates for the first time Anton Schall's transcription of the great Semitist's original handwritten supplementary material (translated by Peter T. Daniels). 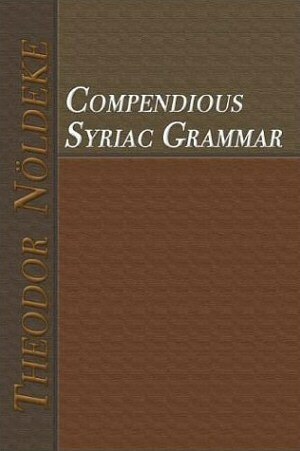 Noldeke outlines in great detail the orthography, phonology, morphology, and syntax of Syriac in this reference grammar. Compendious Syriac Grammar - Amazon's online bookstore.